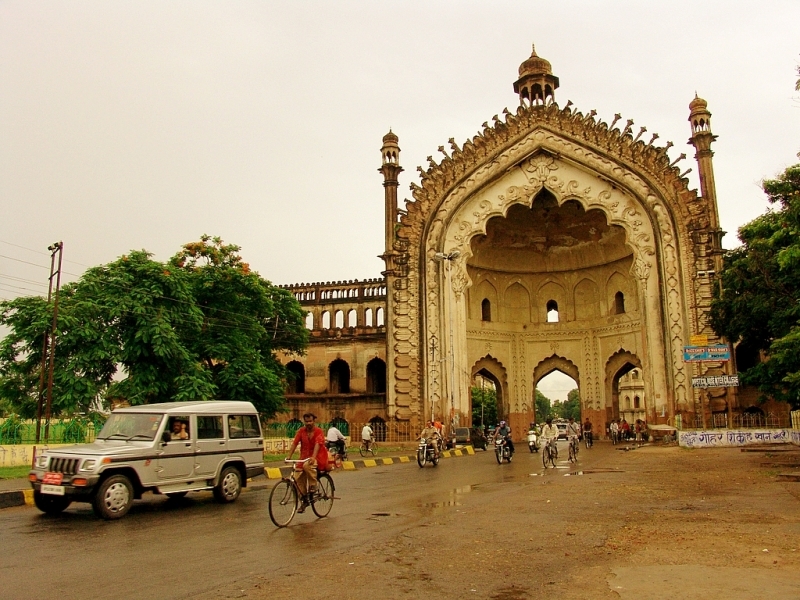 The Rumi Darwaza of Lucknow is one of the most impressive architectural structures in India. It was constructed in the year 1784 by Nawab Asaf-ud-daula. The Rumi Darwaza is an example of the fine architectural style of Awadh. The Rumi Darwaza of Lucknow is also known by the name of Turkish Gateway since it is supposed to be identical in design to a similar gateway in ancient Constantinople. Read more about Rumi Darwaza of Lucknow. The Rumi Darwaza goes upto a staggering height of 60 feet. The uppermost part of Rumi Darwaza comprises of an octagonal Chatri (Umbrella) carved beautifully that can be accessed by a staircase. The word "Rumi" is derived from the modern day Rome that used to be Istanbul, the capital city of Eastern Roman Empire. The Rumi Darwaza is one of the finest gateways that has been built in Lucknow and is highly inspired by a similar gateway in Istanbul. On top of the Rumi Darwaza was kept a huge lantern that would light up the structure at night making it look absolutely fabulous. Little jets of water would rush out of the sides of the arch from beautifully carved flower buds thus making it look like a gateway to Paradise. The beautifully carved flowers and designs speak volumes about the unique architectural style and eye for detail. The Rumi Darwaza is truly a splendor and must visit if you are traveling Lucknow. Been to Rumi Darwaza ? Share your experiences!